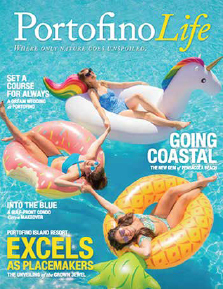 Portofino Island Resort’s peaceful natural surroundings, spacious two- and three-bedroom sky homes, and access to world-class amenities – both onsite and off – make it a perfect gathering place for sports teams, family reunions, girlfriend getaways, and church and military retreats. The resort offers a variety of affordable packages including food and beverage, plus adventures and activities. Packages can be customized to your group’s specific needs. Spa and wellness packages are also available and may include services available at the world-renowned Andrews Institute in nearby Gulf Breeze, including Athletes Performance. Arrangements may be made for almost any request, including accommodations management, group outings and dining experiences via your dedicated group planner. For smaller groups desiring more intimate events, Portofino offers Chef-to-You and Spa-to-You experiences with in-room cooking demonstrations and meals or in-room spa services – ideal for small-group getaways or retreats. Portofino also offers a discount for groups reserving five or more accommodations – leaving more of your budget available for adventures around the resort. The success of your event is of utmost importance. Our event planning team is ready to help. 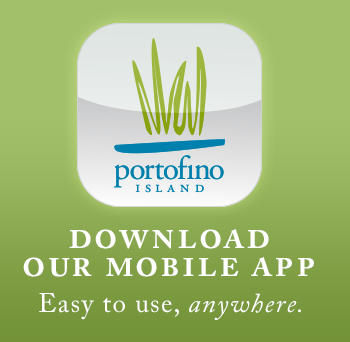 email: groups@portofinoisland.com | or call 888.974.0476.